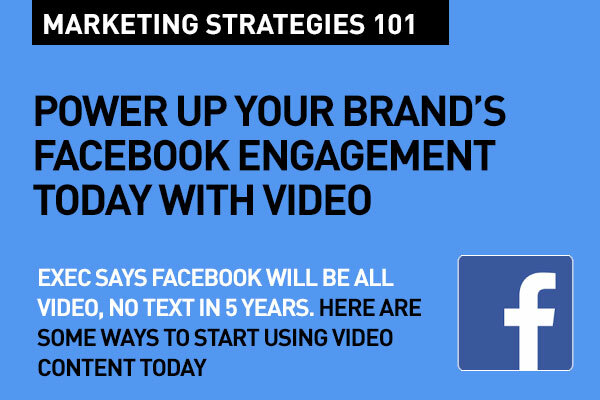 You can really power up your brand's engagement on Facebook with the compelling power of video content. Video is really gaining traction on Facebook. An executive at the company just predicted that's all Facebook will be in five years. Nicola Mendelsohn, Facebook's VP of European, Middle Eastern and African operations, said at a conference last week that in five years, Facebook "will be probably all video," Quartz reported. Mendelsohn added that video is "the best way to tell stories in this world" and "helps us to digest much more information." Mashable tell us that "Facebook Live has exploded in popularity since it became open to the public this year. 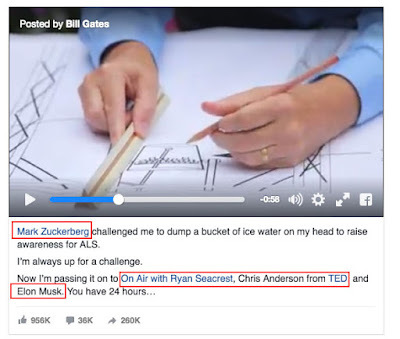 Numerous attention-grabbing videos have gone up on Facebook Live, including CEO Mark Zuckerberg's recent conversation with astronauts on the International Space Station. As GIFs, photos and moving images have become increasingly popular replacements for text reactions, Facebook has responded by allowing users to post videos as comments on the social network. " • Your videos will play automatically in News Feed – Native videos start playing immediately as people scroll through their Feed. Videos initially play silently, but people can tap the video to play it with sound in full screen. • Your videos will have view counts – Public videos from people and Pages will now show view counts to help people discover them. Use a call-to-action to invite people to visit a destination such as a website where they will find more information, watch more, or purchase something. This makes it easy for people to connect more deeply with the stories and content they love and drives referrals back to you. Examples for the call-to-action include Learn More, Watch More, Shop Now, and Sign Up. Tag the Pages of people that appear in your video or that you want to make aware of your video to drive up organic reach. These people's pages will automatically "re-distribute" your video. Fine tune your content based on this feedback. It's incredibly useful as you go forward. 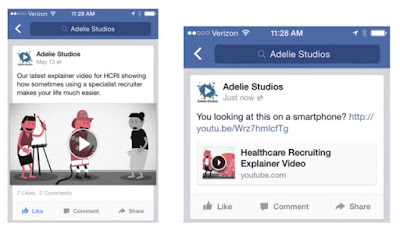 You can use Facebook's API's to upload, set a call-to-action, and get insights for Facebook videos. The APIs make it easy for you to upload videos, read videos, set video call to action, and get video insights. We support almost all types of video files, but recommend using the MP4 format. Resolution should be 1080p or under. To optimize the quality of your videos, upload HD video. Although we support file sizes up to 2.3 GB, there may be longer upload times associated with larger files on slower Internet connections. Videos must be less than 60 minutes long. The longer your video is, the larger its file size will be. This may affect the quality of the video and the time it takes to upload. We also recommend Stereo AAC audio compression with 128kbps, or more, preferred. Live video is changing user consumption of news and entertainment and is further connecting TV and social media. More brands and news organizations are using live video to augment their digital reach.And, now Facebook Live is impacting the whole spectrum as a platform both for real-time storytelling and journalism. You cannot deny the awesome power of Live Video – if it's done right. First of all, is your audience going to appreciate the Live video format? Will it add value and enhance their experience? What's the kind of live content that your target audience wants. What resolution to their need or problem will you provide with your live video? You need to plan your live 'broadcast' around that. People watch video on Facebook to connect with moments shared by their friends, catch up on news from the day, and much more. More than 65% of all views are happening on mobile devices as people turn to Facebook at different times and places throughout the day. Video is compelling on mobile, as well as desktop. 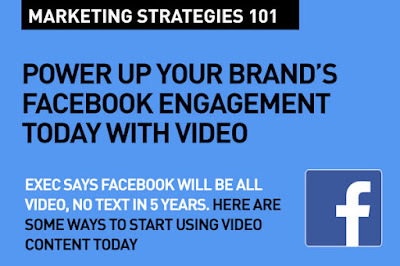 And, video, specially when directly uploaded on to Facebook makes for winning content. Use the Power of video now. That in five years Facebook will have mostly just video and no text is really a far stretched assumption. It contradicts how Facebook is working with publishers for the Instant Articles as well. But, I have to agree that video presents a big opportunity for brands to engage their audiences, and that when used creatively, it is really a winner as far as content goes. Because today's consumers are so attracted to video content on any platform, Facebook is pushing video content in every way possible. It is the right time for every company that uses Facebook d=for their social media marketing to focus on video. Thanks for a helpful post.